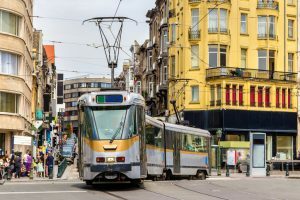 Brussels has joined Paris and Madrid in offering free transit and free bikeshare use on days when air quality is particularly bad, in an effort to fight pollution. If levels of fine particulate matter in the air stay bad for 48 hours, the city’s residents will be able to use transit and bikeshare for free. If they choose to drive, they’ll have to do so at a lower speed limit until quality goes back up. The city, which established a Low Emissions Zone around its capital earlier this year, says the plan will only be enacted when there’s a real air emergency. Read more about it here.